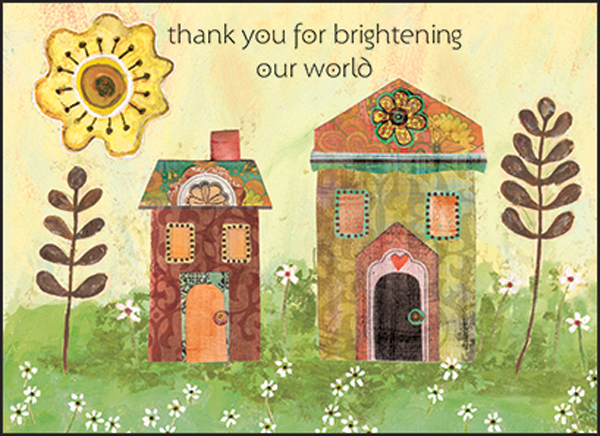 Volunteer Thank You Notes | Note Cards, Greeting Cards and Gifts | Shop Today! | it takes two, inc.
Fast Shipping on web orders! Order Today and save! You'll want to buy a package or two of these useful notecards so you're ready to share a few special words of gratitude with a volunteer. 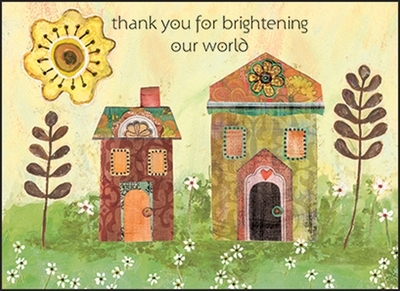 This artful design featuring houses, trees and sun will certainly brighten a volunteer�s day. 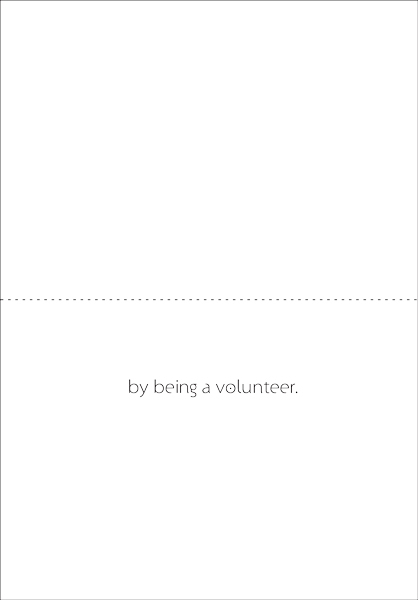 Inside: by being a volunteer. Product Details: Package of ten 3.5 x 5 note cards and ten color-coordinated envelopes.